Our Terri Lynn Cares Store is Open! 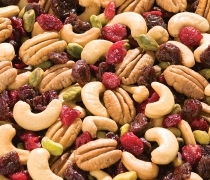 Anyone in the US can shop for Gourmet Nuts - Dried Fruits and Fruit Mixes - Chocolates and Sweets - Snacks and Mixes AND MORE!!! Tuesday, December 11 was the first day of our sale! We ship wherever you specify. 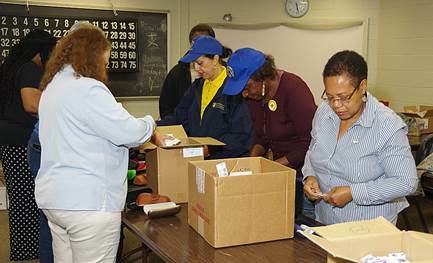 Despite the pounding rain and thunder on Tuesday evening, October 2nd, members of the Bloomfield Lions Club, along with fifteen Windsor-based CINTAS Corporation employees, gathered at the Senior Center to fill hard eyeglass cases with first-aid items for distribution to over a dozen area homeless shelters. Last year’s project filled 661 cases. This year, the count was 1000, plus 500 zip-loc bags, as we ran out of cases. Each was filled with band-aids, alcohol wipes, towelettes, cough drops, tweezers, first-aid cream and related items. All of the first-aid products were supplied through the generosity of CINTAS Corporation. CINTAS leads the industry in supplying corporate identity uniform programs, providing entrance and logo mats, restroom supplies, promotional products, first aid, safety, fire protection products and services and industrial carpet and tile cleaning. They operate more than 400 facilities in North America, including six manufacturing plants and eight distribution centers, according to their website. This is their 2nd year partnering with this Lions Club project.